Todays post is about the outfit that I was wearing two days ago in Paris. The weather there was cold and rainy, a little bit different than the weather I'm used to. An essential in my wardrobe is a pair of rain boots and some cozy socks to wear with them, because something that really pisses me off is to have cold feet, something that is really common when you wear rain boots in a cold day. My solution was the socks that I'm wearing with this outfit, they are really warm! I like them so much that I bought a new pair this season so I can match them with everything. 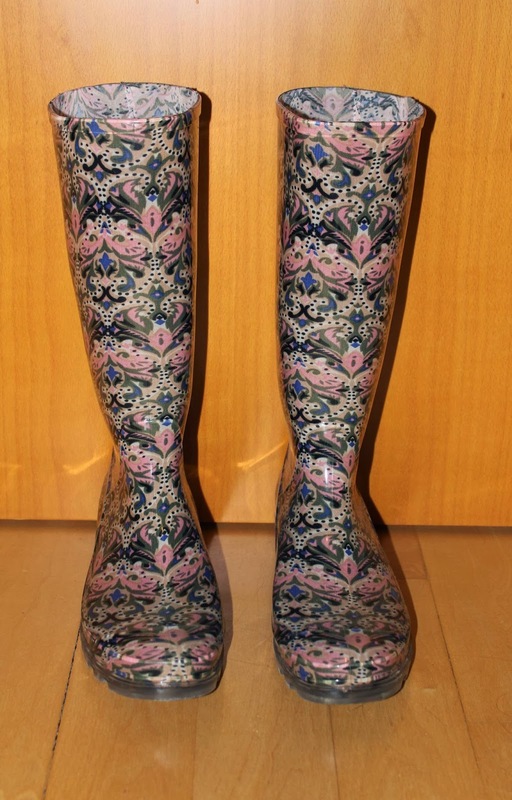 I also like to use my rain boots as a way to add some color to these days that everything seems to look grey and that's why I decided to buy this ones that are very colorful and are easy to combine. If you are looking for a pair of rain boots I recommend you these ones from Bimba&Lola, I got them a few months ago, but I have a friend that bought them a few days ago for half of the price!